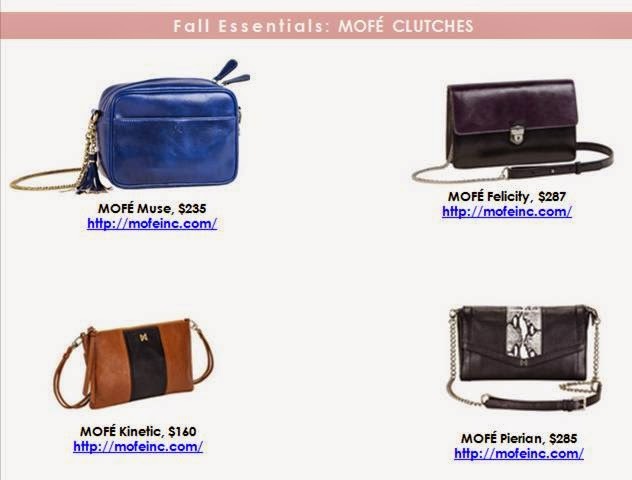 Looking for the perfect fall clutch this year to accessorize your boots and scarves? Well look no further than with MOFÉ. Attorney turned designer, Linda Park created the in order to create fashionable yet practical work bags for modern-day women. Each bag is specially handcrafted with genuine leather and complements woman’s figure with feminine silhouettes, flattering dimensions and curve appeal. View more trend worthy bag blog posts here on the Apparel Search fashion blog.